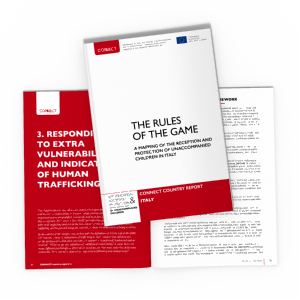 This report maps the system of protection for unaccompanied children in Italy and explores the key actors involved and their roles and responsibilities, also in co-operation with other actors, to ensure that unaccompanied children’s rights are fulfiled. 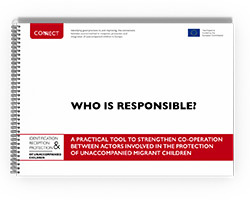 More specifically, it focuses on three key issues evaluating if, and how, actors identify, assess, and respond to situations of extra vulnerability and indications of human trafficking, disappearances of unaccompanied children, and informing protection status procedures about the circumstances of the child. For this purpose, information was gathered through desk review and 20 consultations (11 semi-structured interviews and one focus group held in Rome in February 2014) with representatives of different key actors such as non-governmental organisations (NGOs), the Ministries of Welfare and the Interior, judges, and the Social Services.